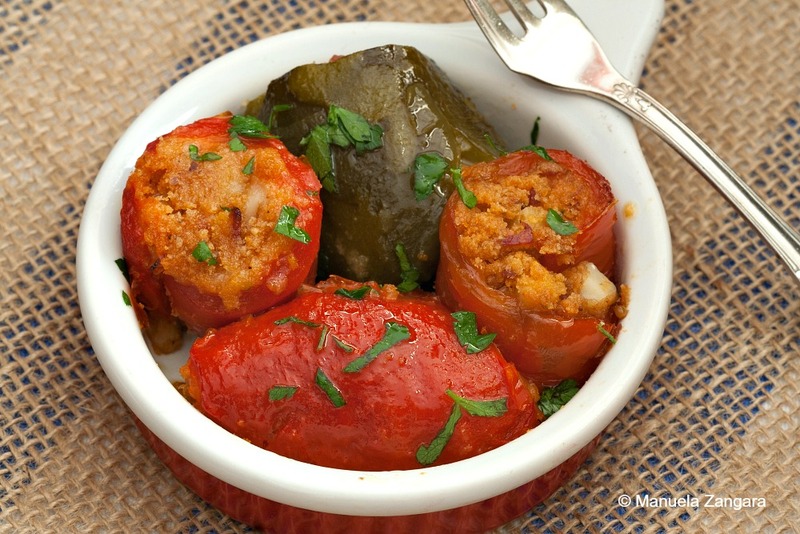 Today’s recipe is a very simple appetiser or side dish idea: Sicilian Bell Pepper Involtini. I love capsicums (or bell peppers), I always have. I have already shared a Bell Pepper Involtini recipe before, but this one is different. They are filled with what we call the ”Zangaras’ trademark”, as we use this same stuffing for a few different recipes (like my Palermo style pork involtini or the eggplant involtini recipes) and I find that it is a winner with both meat and vegetable based dishes. The filling is also very “Sicilian”, thus the name of the recipe. You can serve this either as an appetiser or a side dish… it is always a hit! 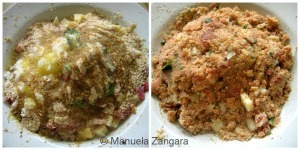 Buon appetito everyone and let me know how you like it! 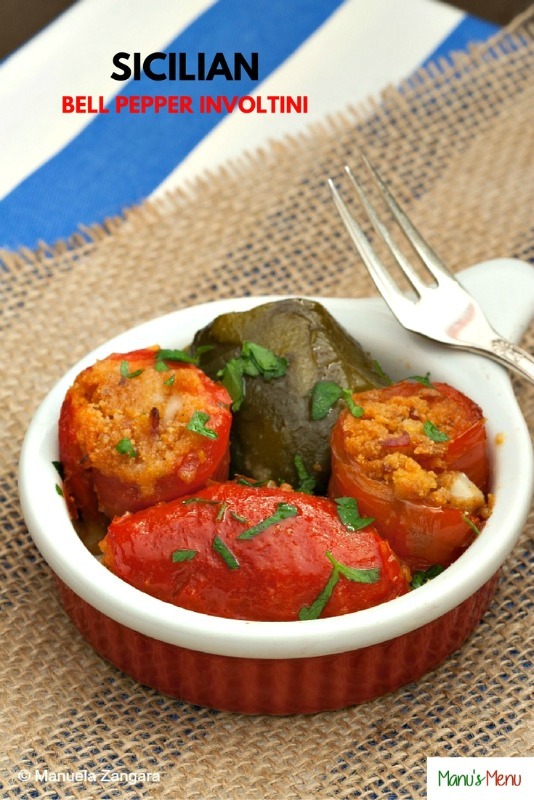 Sicilian Bell Pepper Involtini - delicious bell pepper strips filled with breadcrumbs, cheese, salami and then baked. A very tasty appetiser or side dish. Rinse the bell peppers well. Brush/spray them with some oil and put them in an oven proof dish lined with baking paper. Bake them in a preheated oven at 200ºC – 390ºF for about 20-25 minutes or until cooked through (they will have to be soft). When ready, cover them tightly with some aluminium foil for 5 minutes, then remove the top, seeds and skin (be careful, they will still be hot! But if you let them cool down, removing the skin will be very hard!). Cut them in slices (lengthwise) and keep aside. To make the stuffing, put the chopped onion, chopped salami, cubed provolone piquant, grated Parmigiano Reggiano, breadcrumbs, diced tomatoes, extra virgin olive oil and salt in a bowl and mix well. You may have to add more extra virgin olive oil, depending on the breadcrumbs and how much they absorb the liquids. You need to obtain a soft enough stuffing so that when you press it with your hands, it retains the shape you give it and doesn’t crumble. Keep it aside. Divide the tuna filling among the slices of roasted bell pepper and roll them. Put them in a greased oven proof dish and spray with some extra virgin olive oil. Bake them in a pre-heated oven at 180°C – 355°F for 15-20 minutes. I have 2 different Bell Pepper involtini recipes on the site. 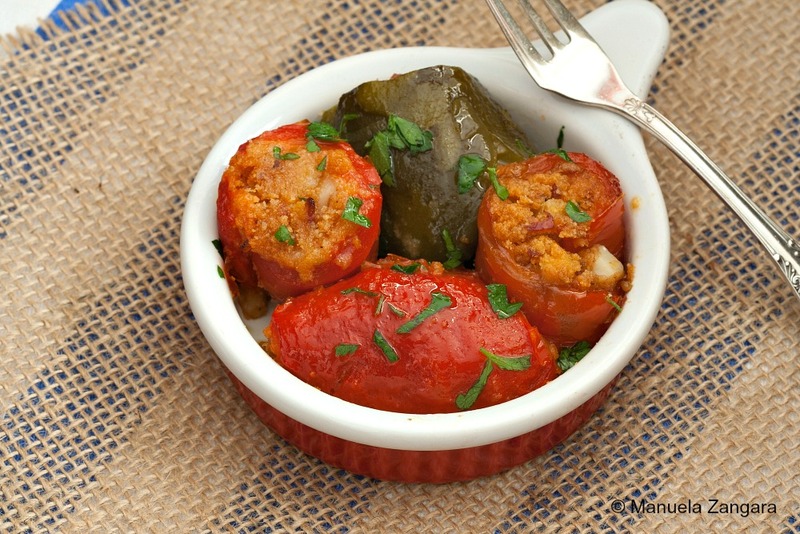 This recipe (Sicilian Bell Pepper Involtini – https://www.manusmenu.com/sicilian-bell-pepper-involtini) doesn’t have any tuna.